Jessica Wolfendale is Assistant Professor of Philosophy at West Virginia University, and perhaps a little too fond of vintage clothing. She is the author of Torture and the Military Profession (2007) and has published extensively on the ethics of torture, military ethics, and applied ethics. Jeanette Kennett is Professor of Moral Psychology at Macquarie University, Sydney, Australia. She is the author of Agency and Responsibility (2001) and has published widely on topics including empathy, addiction, self-control, , advertising, and love and friendship. Fritz Allhoff is an Associate Professor in the Philosophy Department at Western Michigan University, as well as a Senior Research Fellow at The Australian National University's Centre for Applied Philosophy and Public Ethics. 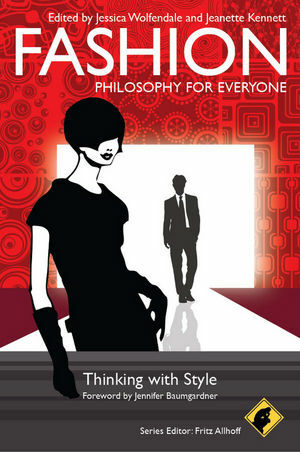 In addition to editing the Philosophy for Everyone series, Allhoff is also the volume editor or co-editor for several titles, including Wine & Philosophy (Wiley-Blackwell, 2007), Whiskey & Philosophy (with Marcus P. Adams, Wiley, 2009), and Food & Philosophy (with Dave Monroe, Wiley-Blackwell, 2007). His academic research interests engage various facets of applied ethics, ethical theory, and the history and philosophy of science. 6 Computational Couture: From Cyborgs to Supermodels (Ada Brunstein). 8 Fashion and Sexual Identity, or Why Recognition Matters (Samantha Brennan).